We had company coming, dinner was taken care of but....dessert? To Read More, Click On The Recipe Title. All the Petite Macaroons Cups with Almonds were just about gone. I needed something quick, delicious and FAST! This brownie recipe filled all those requirements. I didn't have my square 9 inch baking pan available. Since moving to Kentucky some of my baking pans are still being stored, so I made this in a round pan. With only two of us in the house, I was happy this recipe was just our size! My husband isn't crazy about chocolate, but Hershey certainly won him over with this recipe. He loved it! 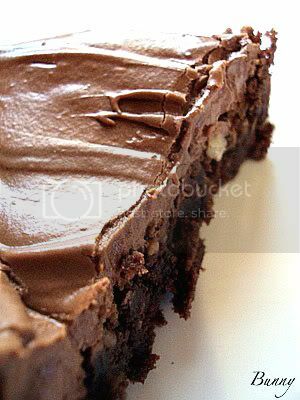 The brownie is very moist and chocolatey, the frosting is outrageously good! I don't think I've ever made a Hershey Chocolate recipe I didn't like. The recipe comes together fast, perfect for a last minute dessert. Merry Christmas, Happy Hanukkah and Happy Holidays. 1 Heat oven to 350°F. Grease 9-inch square baking pan. 2 Stir together butter, sugar and vanilla in bowl. Add eggs; beat well with spoon. Stir together flour, cocoa, baking powder and salt; gradually add to egg mixture, beating until well blended. Stir in nuts, if desired. Spread batter evenly in prepared pan. 3 Bake 20 to 25 minutes or until brownies begin to pull away from sides of pan. Cool completely in pan on wire rack. Prepare CREAMY BROWNIE FROSTING; spread over brownies. Cut into squares. About 16 brownies. beat to spreading consistency. About 1 cup frosting. Wow, looks delish! Hope you're doing well. Merry Christmas!! Merry Christmas to you and your readers, I'm just stopping by new blogs that i think are interesting. And then ill put some of those on my favorites list to visit again. Happy holidays folks and wishing everyone a healthy new years as well. Richard from a Amish community in Pennsylvania. I can't even describe the warm feeling I get all over just looking at these brownies. Have a wonderful holiday full of good health, good cheer and good eats. anytime a brownie is frosted, i'm up for a bite or 16. lovely! 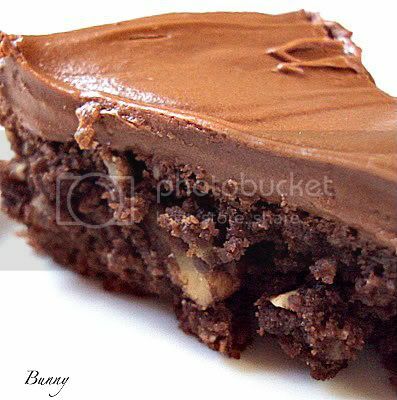 Mmmmmm.hersheys recipes are always wonderful! Just tried this over the weekend thanks to pinterest. They were gone the day I made them! We had friends over for dinner and my husband had to ”share”. He is requesting them again and its only Monday! Ha! I used Ghirardelli unsweetened cocoa instead of Hershey since its what I had on hand. Thank you for the recipe! 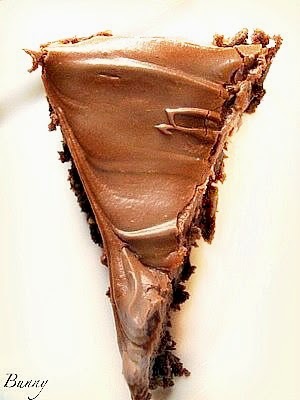 Kendra, when I make these for us, my husband who SAYS he doesn't like alot of chocolate will eat almost the whole PAN!! I'm so happy it is a hit in your house!